Posted on Январь 12, 2017 by Татьяна Н. 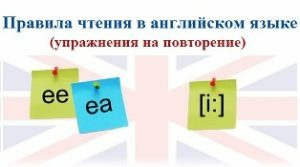 Read the text on the topic «Food». Say what new information you have learnt about the British food. Britain is famous all over the world for its gardens, dogs, villages, buses, cars, private schools, the Queen, sports like football and cricket, Parliament. However, not so much has been written about the wonderful food that can be found in Britain. At various times in history British food has been the envy of Europe. In the eighteenth century British people had the best cooking in Europe. People who visited Britain from other European countries said that nowhere else you could find such tender juicy steaks, such thick-cut mut­ton chops and huge pieces of beef. British pies were famous throughout Europe. The reason for this was that the mild climate, hard-working farmers, and rich soil meant that the best meat and crops were produced in Britain. As a result the cooking required very few ‘additions’ like spices. 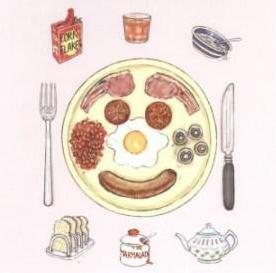 English food was very tasty because of the quality of the ingredients and didn’t need complicated recipes. In the Victorian age people’s attitude to food changed: it became less important. In the twentieth century two world wars meant that some of the recipes for good old English food were simplified or lost. Britain is an island and during the wars the country was cut off from the rest of Europe. For many years after the war there was not enough to eat. Another reason for the decline in British cooking was the increase in popularity of fast food, a style of food imported from the USA in the 1960s. People wanted to eat quickly. Proper English recipes took time and were more complicated than just grabbing a burger. In the last 15 years things have improved quite a lot. Now there are many restaurants and pubs that serve good British food. Some famous British dishes have strange or surprising names. «Welsh rabbit», for example, contains no rabbit at all. It is made with bread, beer, mustard and cheese.